The best way to treat your ear congestion is to determine the cause and choose a treatment options specifically for the cause. Any infection or irritation in the nasal and oral cavities can cause ear congestion. Fluid in the ear can also cause ear congestion. Carefully hop up and down on one foot while tilting your affected ear toward the ground or lie down on a pillow for an hour to let gravity help expel the fluid. Most people think excessive earwax should be removed with cotton swabs or other such items, but those can actually push the wax deeper into the ear canal. It’s best to use an irrigation kit or warm garlic oil, a hydrogen peroxide/water solution, or a vinegar/rubbing alcohol solution to soften the wax instead. 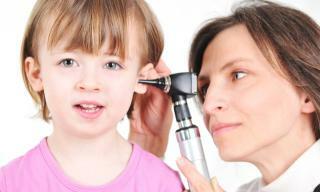 An examination by a medical professional at FastMed may provide relief by determining the underlying cause of your ear congestion and discussing the available treatment options. Whether you’re experiencing ear congestion, need a flu shot, or even a physical exam, FastMed is available. We provide a variety of services catered towards your basic health needs for both adults and children. No appointment is necessary to see a medical professional, and we offer an online check-in tool that may reduce your overall wait time. The next time you’re in need of healthcare services, visit your local FastMed for an unrivaled experience of individualized attention.